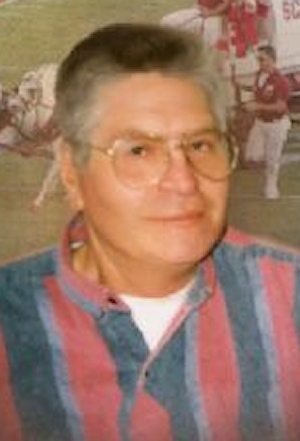 Obituary – Hetherington, Marvin Wayne « Perry High School Alumni Association, Inc.
Marvin Wayne Hetherington passed away in the early hours of October 8 at Alliance Health after a short confinement to Ponca City Nursing Home. He was born October 3, 1936 in Perry Oklahoma to Dale and Ruth (Perkins) Hetherington at his grandparents’ house. He attended and graduated from the Perry schools in 1954. 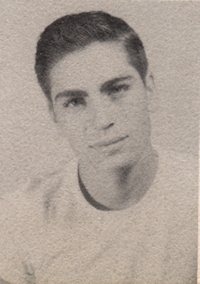 Shorty thereafter he enlisted in the Navy and was discharged in September, 1959. He married Wanda Welch on December, 1955. To this union was born Alan and Valerie. He married Sandy Scott in July, 1976 to this union Dawn was born. He worked at Standard Industries in Enid and then came to Ponca City in 1969 where he worked for Nickles Machine, Sharrock Ranch and Cattle Company, Baughman Lumber and then P C Concrete where he retired from there in 1999, due to bad health. After retirement he took on the job of babysitting his grandson, Austin, and riding the lawn mower to the coffee shop or the greasy spoon as they called it. In his younger years he enjoyed boating, fishing, hunting, dominoes, cards, football (especially OU), the Thunders Basketball and woodworking. Even since having been confined to a wheel chair he would still be the loudest in the room cheering his team; or if you were against his team cheering your team to lose. He would get the greatest enjoyment telling about the times spent with his Brother in Law, Bill Kindt, hunting and boating. He is survived by his wife Sandy and son, Alan and Becky Hetherington of Glencoe,OK and daughter Valerie Bryant of Stillwater,OK and daughter Dawn and Michael Rohrs of Piedmont, OK. Grand Children: Hether, Jason, Tyler, Brooke, Trenton, Colby, Austin and Cody and 13 great Grandchildren. Sister & Brother in law, Gene & Linda Haun of Ponca City and Brother in law and Sister in law Bill and Adele Kindt of Lawton and many nieces and nephews. He also leaves behind his best friend Dixie, whom he thought was the best dog in the world. He was preceded in death by His parents, 2 sisters Donna Kindt and Patsy Patterson and his grandparents.